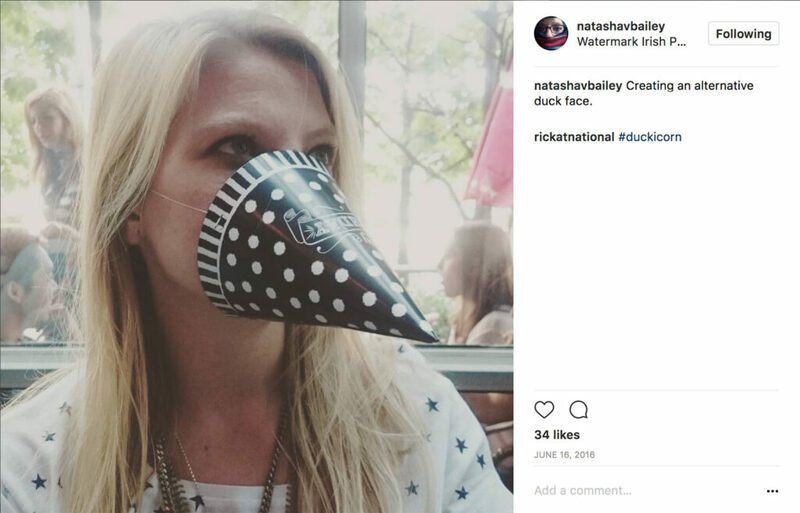 The mask of the 7a*md8 Instagram feed will be juxtaposed against the ongoing debate in performance art regarding the authentic vs. the acted. The work will attempt to reveal parallels that exist between performance art and a 1080×1080 pxl frame using symbolism as its primary fuel. Instagram pics will be turned inside out when false ‘truths’ of a hyper curated life are peeled away to reveal reality. Each day my Instagram persona will push the boundaries of the authentic vs. the invented life; what is insecurity vs. what is narcissism. The human condition of anxiety is what links each digital image together. The obsession and fear to fit in, to belong, to embody fame, to be someone we are not. That common thread links us together while simultaneously pulling us apart and isolating us. Toronto-based performance/mixed media artist and curator Natasha Bailey received her MFA in Fine Art Media from Slade School of Fine Art in London, England. Through her performances Bailey explores the boundary between the performer and the audience while revealing the dynamics of relationships. At the core of her work Bailey challenges the symptoms of Post Traumatic Stress Disorder (PTSD). Although the subject of PTSD can be viewed as very serious, Bailey aims to explore the matter in a humorous and light-hearted way.